Here in the US, it’s tax season! Unless you’re a CPA (and if you are, thank you for your hard work and sorry for not sorting that shoebox filled with receipts), this fact is unlikely to fill your heart with joy, especially if you’re one of the millions of Americans who does her own taxes. It’s an annual headache. It’s awful. Did you know that in some other countries, citizens are simply mailed a form that has all their tax data pre-filled? Then they simply check it for errors, make any necessary corrections or additions, and mail it back in. Done and done. Of course, here in the US, we don’t do things that way, because that would be simple and easy, and simple and easy is in direct contradiction to our rough-and-tumble pioneer spirit. Or something like that. But hey, good news: April 15 falls on a Sunday this year, so you have a whole extra day to prepare. So. We have a tax code the size of a refrigerator. A walk-in refrigerator. It’s written in impenetrable bureaucrat-ese, and it has so many loopholes that even the exceptions to the exceptions have exceptions. So buckle in as we take a look at some important things to know about getting your taxes done right. Every year you tell yourself you’re going to be better organized next year. It happens. But it’s hard to maintain the discipline in June that will pay off next April. Still, the better a job you’ve done of keeping your tax-related documents organized, the easier a time you’ll have when push comes to shove. Modern tax software is pretty good at grilling you with questions you’ll need to answer to properly complete your tax forms. But the more answers you have at hand when you fire that software up the happier you’ll be. Has your employment situation changed since your last filing? How about income you earned from your side hustle? Did you have any employees, contract or otherwise? If you’re self-employed, did you make any purchases that were a business expense, like a printer or computer? Start big and drill down. There are a lot of bad guys out there trying to separate you from your tax refund – and the scammers get craftier every year. The IRS keeps track of the latest tax fraud schemes – there’s a lot of them! There are a lot of tax agent impersonators, too – remember, the IRS will never contact you on social media or via email. Here’s a guide to know when it really is an IRS agent and when it’s not. Even the best tax software can’t anticipate the minutiae of your individual work circumstances. Spend some time looking over the IRS help pages to check for details you might have missed. If you work from home, can you write off those comfy footy pajamas as a business expense? (Probably not, sadly.) The best solution is to hire a professional tax accountant – she may save you enough to pay for her services! Remember: Form 4868 is your friend! This is the form you’ll use to file for an extension, so BEFORE THAT APRIL 16 DEADLINE, submit this little beauty and feel the stress ebb away. Be aware that this form requires you to make an estimated tax payment, so it isn’t a get-out-of-jail-free card, but it can come in handy if you’re overwhelmed. If you’re doing taxes for your business (and why are you doing that?! Get an accountant, jeez!) the form you’ll need to file for an extension is either Form 7004 or Form 1138, depending on your circumstances. Of course, there’s a whole list of caveats, ifs, and buts swirling around any tax question. Your best guide will be a reputable tax accountant. Start looking soon, they’re very, very busy here in the depths of tax season! Welcome to prime tax scam season! When it comes to ID theft, you really can’t afford to relax – the criminals who are out to get you certainly aren’t slacking off: In 2014, there was a new identity fraud victim every two seconds. 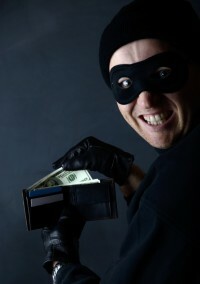 In the same year, $16 billion was stolen from 12.7 million U.S. consumers. (See III on the Scope of Identity Theft). Please make a tax-free donation to <> charity or <> political fund. Two particularly common types of fraud are IRS Impersonators – usually threats by phone – and tax preparer scams. You can read about the most common types of tax fraud from last year’s IRS Dirty Dozen. Thieves usually claim tax refunds by filing taxes before their victims do. 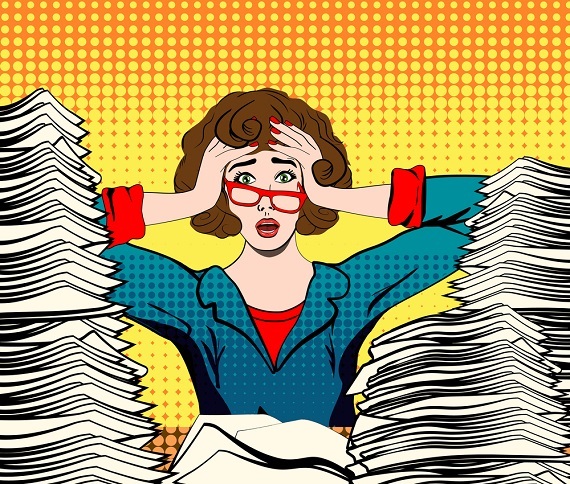 So another way to protect yourself is to file long before the tax deadline, which is Monday, April 18, this year (April 19 in Maine and Massachusetts). Don’t trust the number that shows up on your caller ID or email identification. These can be spoofed. Don’t click on any links or give out any info. Instead, go directly to the website or call the organization yourself to make payments or donations. Don’t give out credit cards, dates of birth, social security numbers or any other sensitive information to callers you do not know. Never send that information by email, which is insecure. Create secure passwords. Use different passwords for any accounts involving sensitive information or payments. That might seem like a hassle, but this small inconvenience pales in comparison to the troubles you will have if someone steals your ID. Review your credit card and bank statements regularly. Check free credit reports annually with this authorized site. Avoid making financial transactions over insecure public wifi networks. Keep an eye out for elderly relatives or friends – the elderly are often specifically targeted for fraud. You may be dreading tax season but there are some folks who couldn’t be happier: criminal cartels. They are hoping to intercept your tax rebate, to con you into paying fake fines or to steal your identity. They have an increasingly sophisticated arsenal of tricks: phony emails, texts, websites and phone scripts. It’s a big business because, sadly, there is no shortage of victims. Read the The 2013 Dirty Dozen Tax Scams, an IRS-issued list of the most common tax scams last year. What are common fraud warning signs? Threats and promises. Any messages via email, text or phone that include scary threats, that demand immediate action or that promise refunds, rebates or winnings should be immediate red flags. Requests for personal information. The IRS does not send any communication requesting your PIN numbers, passwords or similar access information for credit cards, banks or other financial accounts. Do not give this information to phone callers either. Email with links and attachments. Scammers are good at creating email that looks “official.” Do not open links or attachments from people you don’t know. Get in the habit of hovering over email links to reveal the real address before clicking because the apparent link may not lead where it says.See How to Tell if a Link Is Safe Without Clicking on It. Be skeptical about emails. Look for misspellings and bad grammar. One trick you can use is to copy a paragraph of a suspicious email into the Google search box – it will often reveal that many people got the same email and point to a number of alerts that the mail is a fraud. You can also check the IRS Consumer alerts. Here’s more about how to recognize phish emails, and here’s how to report any phishing problems to the IRS. The IRS isn’t the only one out to get your money this time of year. Unfortunately, this is the season for tax scam schemes, including the perennial favorite, email phishing. Email phishing, for the uninitiated, is a term referring to scam emails that take on the look and feel of an e-mail from legitimate corporations, trying to trick you into clicking on a link and entering your personal information. Sophisticated phishers can look exactly like legitimate emails if you don’t know what to watch out for, and their links can lead you to ages that look remarkably like the real thing. Phishing schemes have been around since the birth of the internet; they’re the latest technological spin on a very old phone scam in which con artists called unsuspecting citizens asking for social security or credit card numbers. Just like the phone scam, the best way to react to a phishing email is to hang up: delete the email, don’t click on anything and move on to the rest of your day. If you’d like to be a good citizen, you can forward the phishy email to phishing@irs.gov. How serious is email phishing this time of year? The IRS puts it at the top of their “dirty dozen” list of tax scams. That means that it’s incredibly common. 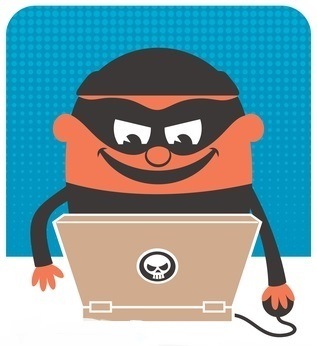 You may well be the recipient of an unwanted tax scam phishing email this year. If you don’t get one and want to know what they look like, Snopes.com, the well known rumor debunking site, has examples of a variety of tax phishing emails. (alert: Snopes site has popup ads). How can you tell that an email is phishing? First, disregard any email that claims to be from the government. The IRS will never contact you by email or through any social media like Facebook or Twitter. This has been a policy for many years and it’s unlikely to change. Therefore, if you receive any communication from the IRS in any other way besides mail, you can safely assume that it’s faked. Not all tax phishing emails purport to come from the IRS, though. Popular tax preparers H & R Block and Intuit, the makers of the well known tax software TurboTax, are also reporting phoney emails being issued supposedly under their name. Click links for their safety tips to protect against phishing). In a slightly different twist, H & R Block customers in Tennessee were even scammed by fake text messages. Just as in an email or phone call, texts that claim to be from tax entities should be ignored and reported. Remember, no reputable company other than your mobile phone carrier is going to contact you via text message. Intuit has an up to date list of current phishing scams on their website, so if you use TurboTax and receive any emails from them, check this list before replying or clicking on attachments. To be safe, never click on an email attachment from anyone you don’t know and make sure that any emails, even from friends, are really from them before you click. Always, always, think before you click. To use an example from my own email inbox, is it really likely that your old college friend is stranded in London without any cash and chose you to ask for a loan? If it looks suspicious, it probably is – and my friend was still in South Carolina. Here’s a good rule of thumb: If you get an email from your bank, your tax preparer, or an online merchant with an urgent request about your account, don’t click the link in the email: instead, go directly to the bank or merchant website and sign in the way you normally would. If there is any urgent message, it will be listed under your account.